It was a powerful afternoon on Feb. 1 during the Arts and Science Federation of Associations’ workshop on anti-racism and appropriation of indigenous cultures. As part of First Voices Week, the session was facilitated by Chantel Henderson and Vicky Boldo, who spoke about the impacts of racism in healthcare, education, justice, employment and housing. They shared their personal stories on how these issues affected their lives. The event began with Boldo, a board member for the Native Women’s Shelter and the First People’s Justice Centre of Montreal, reciting “Greetings to the Natural World,” a prayer giving thanks for life and the Earth. Henderson, who recently earned a graduate degree in community economic development from Concordia, spoke about her experience living in what was reported by Maclean’s magazine as the most racist city in Canada: Winnipeg. 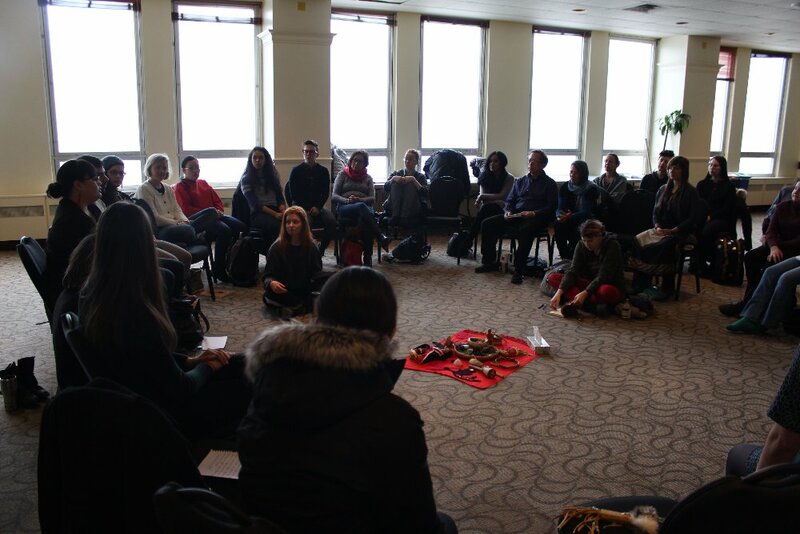 She also discussed the KAIROS Blanket Exercise, where participants take on the roles of indigenous people in Canada. It was not demonstrated at the event, however. “The blanket represents the lands, and the exercise shows the effects of colonization and how connected our people are to our land,” Henderson said. Standing on blankets, the participants walk through pre-contact, treaty-making, colonization and resistance. Facilitators, who play characters such as a narrator or European colonizers, direct the participants. The event finished with some participants forming a closed-session circle, where they shared their own personal experiences regarding racism and cultural baggage.